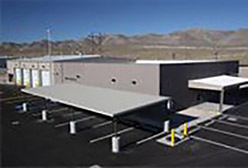 “NNSS continues to demonstrate excellence in facilities management by upgrading a variety of building types to HPSBs, resulting in great places to work with lower operating costs and reduced environmental impacts.” James J. McConnell, Associate Administrator for Safety, Infrastructure and Operations. The buildings earned the HPSB status by meeting 28 distinct performance requirements in the areas of energy, water and waste reduction, as well as tenant health and comfort. 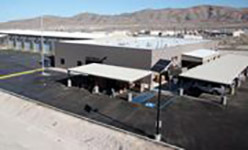 This achievement shows NNSS’s ongoing commitment to meet federal sustainability goals in the design, construction, maintenance, operation and management of its facilities. 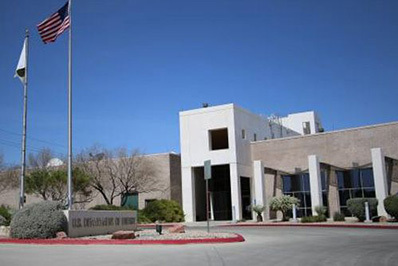 Investments in modernizing infrastructure also enable mission by allowing NNSA’s people to operate in modern and efficient facilities in accordance with NNSA’s strategic vision. 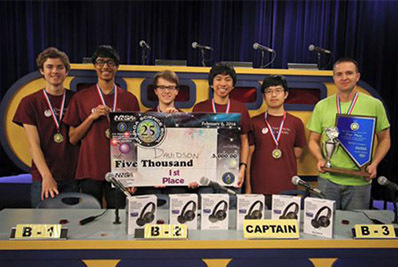 Davidson Academy of Reno, Nev., roared to victory on Feb. 6 in the 2016 Nevada Science Bowl. Thirty-two teams started the day squaring off. After nearly 11 hours of spirited competition, Davidson defeated Las Vegas' Clark High School in the championship match, winning the $5,000 first prize. Davidson will represent Nevada in the Department of Energy's National Science Bowl in April in Washington, D.C. In the photo (l-r), Matthew Bauer, Rinik Kumar, Haydn Bradstreet, Paolo Adajar, Eric Liu and Coach Brett Guisti represented Davidson.